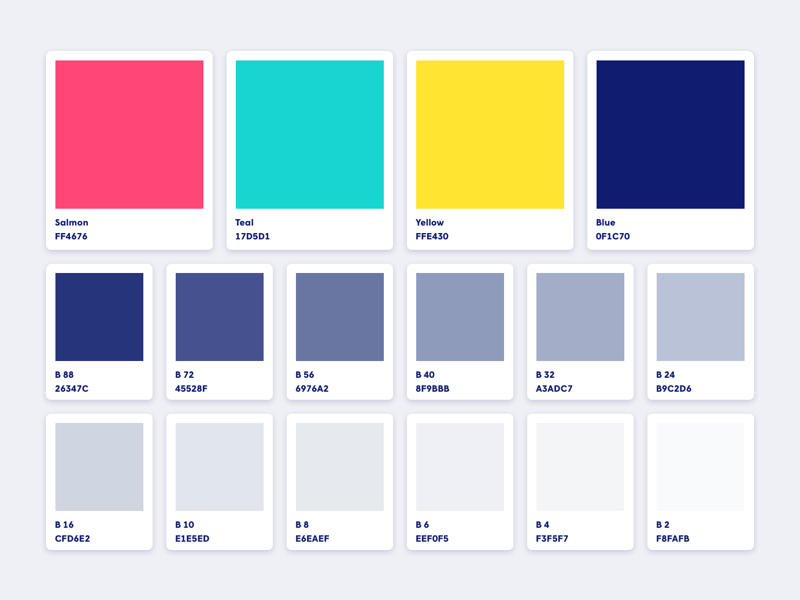 FREE PANTONE STYLE COLOR GUIDE! Why? Because you guys are awesome! Here is a color palette from a recently approved brand identity! Just incase you missed it yesterday, I broke down how I choose neutral colors for a brand. Establish a dark color for the brand that will most likely be used for the typography. Break that color opacity down by 8’s mostly. I typically do 88, 72, 56, 40, 32, 24, 16, 10, 8, 6, 4, 2. Once I get into the lower digits I start going by 2’s. If you like this color palette, smash that like button! Interested in upping your brand game?